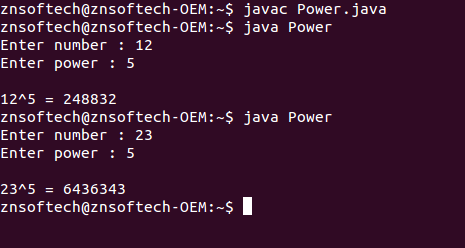 Java program to calculate the power of a number using recursion. 2. Accept a number from user. 3. Ask user to enter the power. 4. Using method of recursion, find the value. Great post. I want to advise you a great service to help in writing an essay http://essaylab.co.uk/.